Nigerian Salad is so unique that there is no other place that prepares such filling and exotic salad as this recipe. It can be had as a meal on its own or as a side dish to the various Nigerian Rice Recipes. 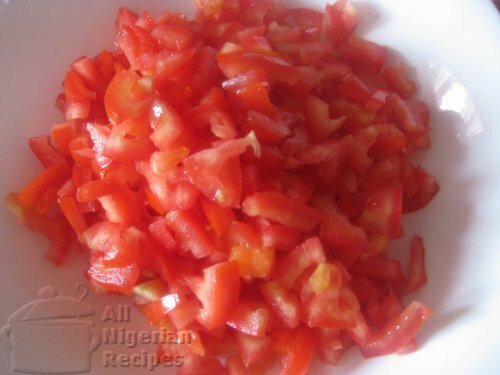 The quantities of ingredients stated are what will give you a typical taste of the Nigerian Salad. The quantities can be halved or multiplied and the same taste will be achieved. Wash and cook the Irish potatoes till done. The eggs should be hard boiled. To save time, these two can be cooked in the same pot as they need almost equal amount of time to get done. Cut the lettuce into thin shreds. 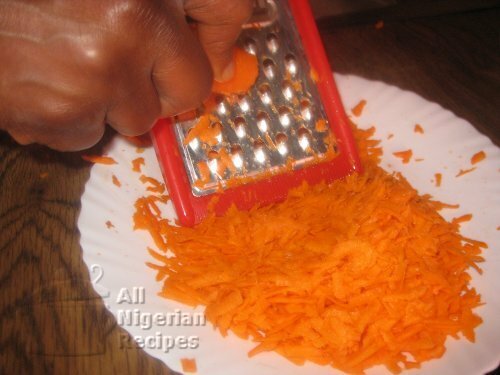 Scrape and shred the carrots using a grater. 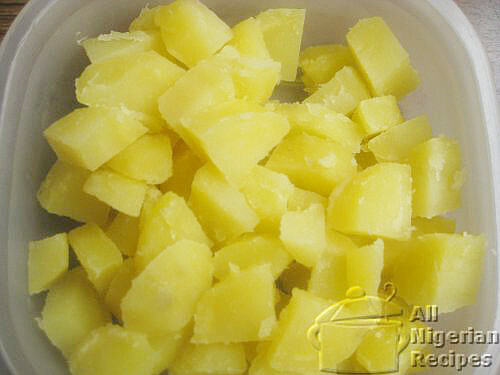 Peel and cut the boiled potatoes into sizeable cubes. 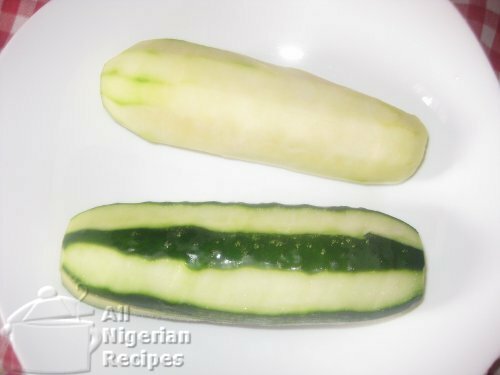 Peel, remove the seeds and cut the cucumber as shown. If you want more green color in your salad, you may peel the cucumber in stripes. Remove the seeds from the plum tomatoes and cut into small pieces. Place all the cut vegetables in separate containers. Open the sweet corn and drain the preservation water. Rinse the seeds and set aside. Also open the baked beans tin and set aside. Remove the shells of the hard boiled eggs, slice thinly and set aside. 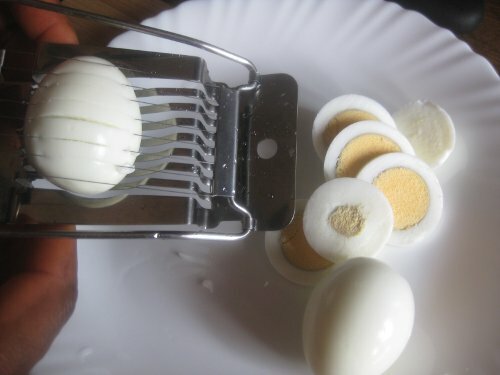 An egg slicer is perfect for this job. With the exception of the egg, start putting the ingredients in small batches into a big salad bowl till all are exhausted. 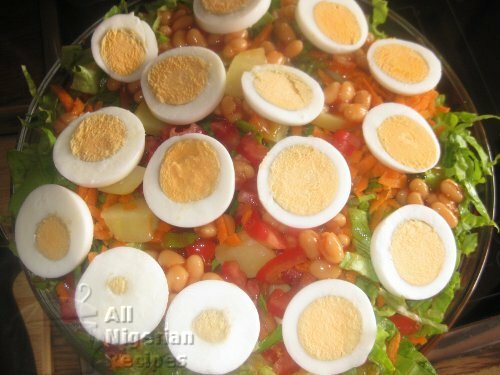 Now, place the sliced eggs on the salad, covering the top. Cover the bowl and place in the fridge for at least one hour. This is to allow all the ingredients to mix well. 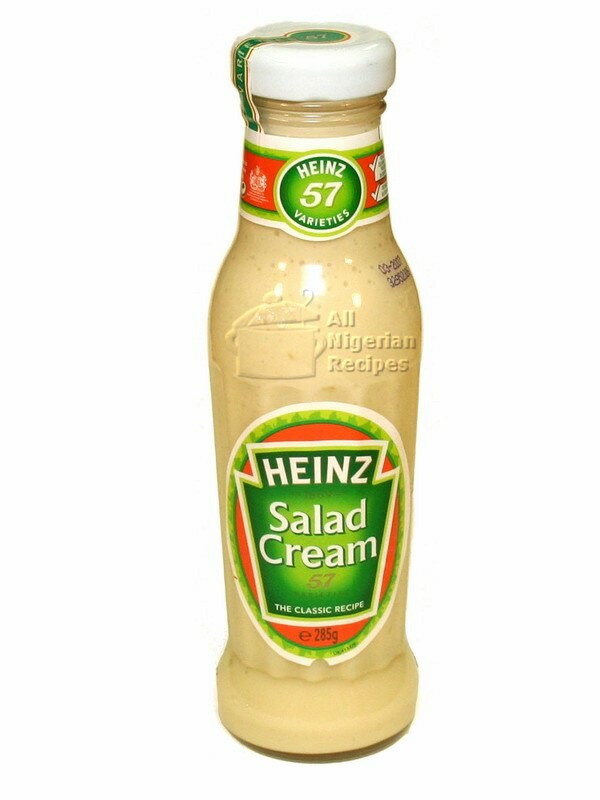 Serve with a salad dressing of your choice but the Heinz Salad Cream works best with this recipe, seconded by a caeser salad dressing. If you prefer your Nigerian Salad crunchy, substitute the lettuce with cabbage. You can also use the two as the lettuce adds a green color to the salad. 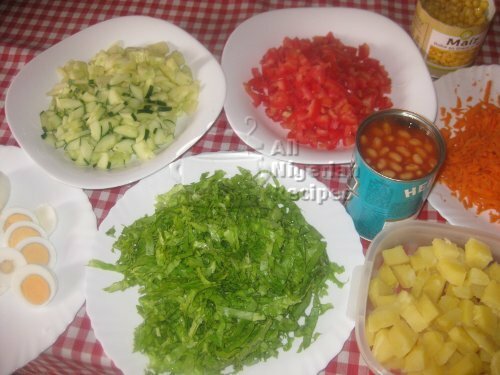 The above are the minimum ingredients for making a Nigerian salad. More ingredients such as boiled macaroni, corned beef, green bell pepper, green peas etc can be added for varied flavour. 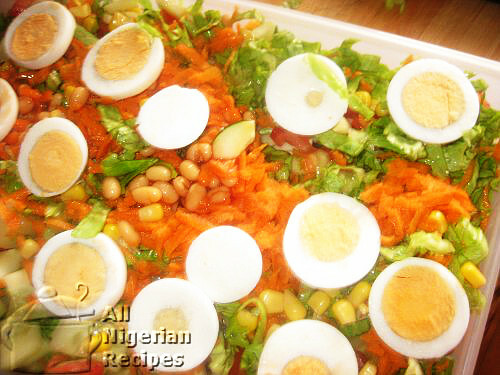 The Nigerian Salad is best consumed within 24 hours of preparation if no salad dressing is added to it. 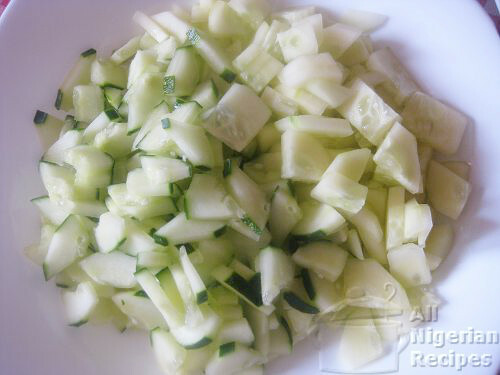 If you are lucky to buy a baby cucumber, it may not be necessary to remove the seeds. 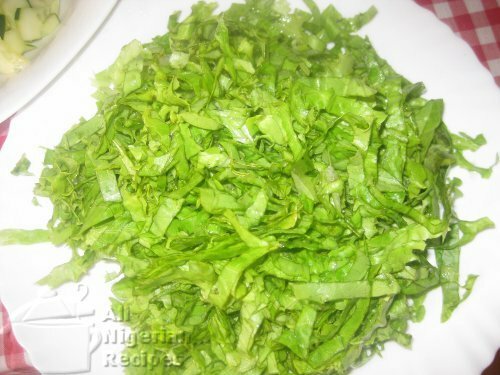 Nigerian Salad can be eaten alone or as a side dish to Jollof Rice, Coconut Rice, Fried Rice and other Nigerian rice dishes. More food combinations: with Nigerian Moi Moi or with Grilled Chicken.